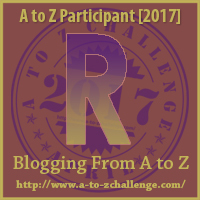 Today is the last day for the April Blog Challenge and the day for the letter Z. This month has been a real ride, hasn't it? Dr. John Aldis who helped answer a few questions I have and offered information about Medical Marijuana post on April 20th. Justin a blog reader who gave his personal story in Voice of Recovery. Jackie Cortez, of The Prevention Coalition who has often offered suggestions and links to awareness of the dangers of heroin. Thank you to all of you who stopped by this month to read. Many thanks to those who left comments and to those who continue to send email, thank you. Also, I would like to thank Mr. Arlee Bird for the opportunity to blog in the April Challenge as well as all of the moderators this year. This definitely is a challenge like none other. 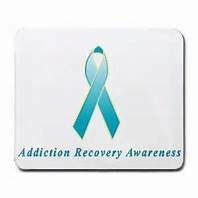 First was coming up with ideas of posts for each letter and keeping to the theme of Addiction, Recovery, Hope, and Healing. The challenge in some cases was writing those posts out. I work full time and was amazed that I was able to keep up although I did get a little behind on the commenting. Be patient I am still catching up. My Internet went on the fritz this past week. Wouldn't you know it? I was into the last stretch and it goes bonkers, but it does that every year during this challenge for some reason. I was able to post each day, but afterward, the Internet was crawling at snail pace and made it challenging to get to others links. The comment link list while I understand the need for it, it was a challenge every day. I found out the hard way that if I didn't post my link that sometime during the afternoon it would not allow the link to be left say after work at 5 PM. Now it is time to rest and get some ZZZZ's even if only for a few cat naps. 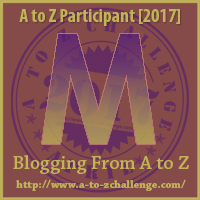 I have posts that didn't make the A-Z Cut which I'll be posting over the next few weeks. I hope if you've liked the posts this month that you will bookmark and return to read more information. The road along this addiction pathway has been a long rocky road. There are still more challenges ahead as we face tomorrow. 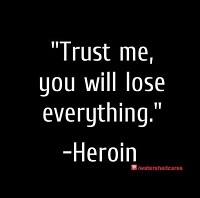 I wish not one other person ever had to go through loving someone who loves heroin more. According to the stats page, 142 people read the post and fourteen participated in the poll. Here are the results of that poll. I will also once again be posting the daily Live Happy Challenges starting tomorrow for those who were reading them. 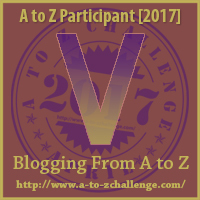 Tomorrow is the last day of the April Blogging Challenge and the day for the letter Y. To those of you who haven't made it here to this please know that all the tears that have fallen and all the love from a mother's heart will never be enough to keep someone you love from a powerful drug like heroin. If you love someone struggling with drug addiction I want you to know you are not alone. Don't try to do this all on your own. 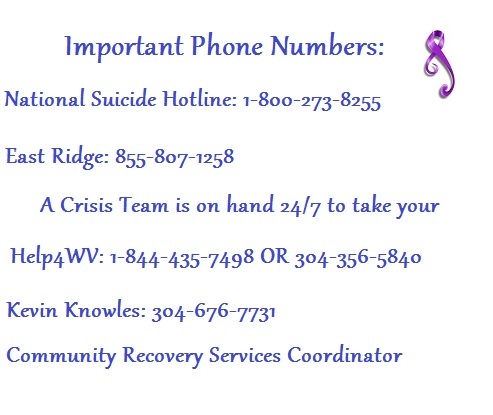 Reach out for help. Go to some meetings to get some information. 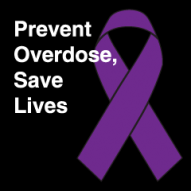 Read the postings from the April A-Z Blog Challenge as I have posted a lot of information this month relating to drug abuse and those in our community who are dedicated to fighting against this heroin epidemic and to those helping. Ask for help. Reach out to them. In the past year together we have all made a difference here. Just look at where we were last year and where we are today. We have taken some leaps and bounds. I hope you have enjoyed reading my posts this month for the blog challenge. Be proud of where you are in your sobriety. No milestone is too small to be insignificant! 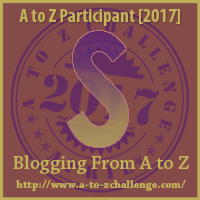 We are in the last few days of the A-Z Blog Challenge. It doesn't seem possible that April went by so quickly. Today is the day for the letter X, a rather tricky letter, isn't it? 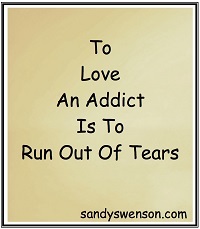 Especially when trying to apply it to the theme of Addiction, Recovery, Hope, and Healing. I found it, however. Today is about eXpressing Emotions. I sometimes have a problem with that. I have gotten a little better. 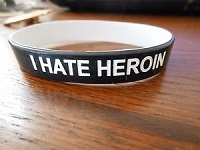 It is better to concentrate the negative emotions into I HATE HEROIN. I don't hate my son but I hate what this drug has done to my son. I hate what this drug has turned him into. I hate what this drug has done to my family unit. I get asked a lot, oh my God, what do you do after? Well, honestly, after you've been through this for all of these years you eventually stop keeping it all inside and you write. Well, I write it all out anyway. Then of course sometimes you just get a blog page and start blogging it all out. I am the type of person I have a habit of keeping everything inside and then one day something happens or something is said and it all just explodes without warning. YES- Sometimes I vent and rant! YES- Sometimes I am happy! YES- Sometimes I am all of the above at the same time. 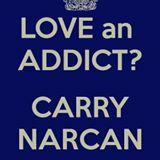 All of which are natural responses by the way when you love someone addicted to heroin and other drugs! If I want to be mad, angry, vent and rant at that... so be it! I am allowed all of those emotions! 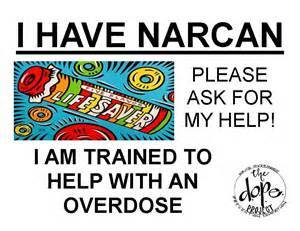 I wish not one other person would ever get addicted. I know that is far from reality. 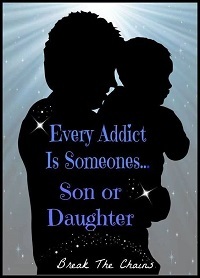 I wish not one other parent or loved one ever had to go through this with someone they love. I know that too is far from reality right now. 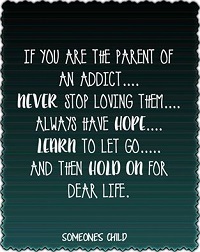 I wish not one other family had to go through losing a loved one to this addiction. Sadly, I don't see the light at the end of that tunnel so I'll keep blogging along the road that I am in the hopes that others will read the information and my stories and find Hope and Healing. 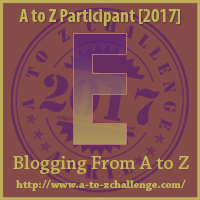 This is the last week of the April A-Z Blogging Challenge. Today my post is about Living under the Influence of a powerful drug like heroin. 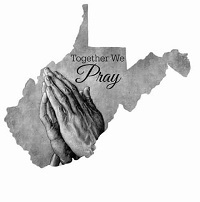 I have posted a lot of information this month relating to this epidemic, how this has affected a small town in West Virginia as well as my family and the groups here locally who are helping those find recovery offering a better life without heroin and addiction. Groups helping those suffering find, hope, and healing. 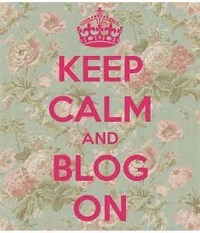 Today we only have another week left of the April Blogging Challenge and the day for the letter T. How are you doing? Still keeping up? Today is the letter T and I'd like to talk about the Twelve Steps. According to Wikipedia, The twelve-step program is a set of guiding principles outlining a course of action for recovery from addiction, compulsion, or other behavioral problems. Originally proposed by Alcoholics Anonymous (AA) as a method of recovery from alcoholism, the Twelve Steps were first published in the 1939 book Alcoholics Anonymous: The Story of How More Than One Hundred Men Have Recovered from Alcoholism. The method was adapted and became the foundation of other twelve-step programs. 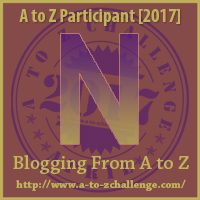 Today we are only about a week away from the end of the April A-Z Challenge. I must say, challenge this has been coming up with a topic to write about for each letter of the alphabet and staying within the theme, but I have enjoyed every minute of the long haul bringing to you awareness of the disease of addiction as well as this heroin epidemic which continues to plague many cities across the U.S.
On this side of the addiction, that is those of us who love someone addicted to powerful drugs such as heroin we have faced many uphill battles. 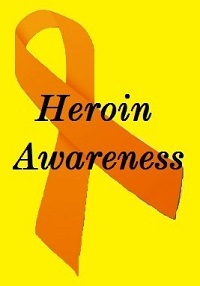 One of the battles is that of the stigma relating to addiction and especially to heroin. 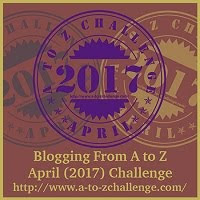 Today is the day for a challenging letter, the letter Q and the third week of the April A-Z Blog Challenge. Are you blogging to the challenge? Keeping up? For my post today the letter Q is about questions and boy do I have a lot of them especially when it relates to the heroin epidemic or just about any drug for that matter. Today, I have a lot of questions about the Marijuana debate and Marijuana X. Today seems pretty insignificant. 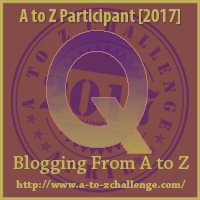 In the April A-Z Challenge, it is the day for the letter Q and often hard letter to write a topic. It is one of the letters of the alphabet that is hard to find words when applying it to a theme. Today is also April 20th. 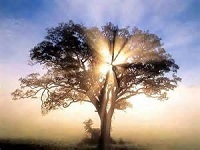 Maybe that is also insignificant to you but to stoners, it is 4/20 and their day to celebrate. Steered Straight Media who produced this documentary says, "It's just not marijuana anymore! Weed is being commercialized. It is being genetically modified and chemically altered on a commercial basis. The very nature of these changes should infuriate the very naturalist legalizers that have led the legalize movement. Butane Hash Oil, edibles, and concentrates are all products that contradict the natural argument. The "It's just Weed" slogan no longer applies. THIS is not your Grandfather's Pot! I don't know why I have so many questions. I say I don't stand in the way of any treatment for others, but I can't help thinking that years ago we were told nicotine was non-addictive. We trusted those who stood in Congress then yet today nicotine is as addictive as heroin and in fact teases the same pleasure centers of the brain. Many others were told OxyContin was non-addictive yet how many have died from this addiction? Today is the third week of the challenge and the day for the letter N. For my letter N I have chosen to talk about Boots on the Ground: Going Into the Neighborhoods. actually fighting in a war or conflict. We here in Martinsburg, WV, and across the country are fighting another kind of conflict. This conflict reaches far beyond the state lines and into the heartland and across coast to coast. East to West. North to South. This goes all across this great nation of ours. 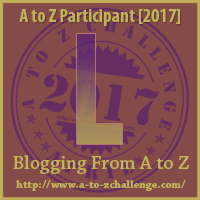 Today is Day twelve of the April A-Z Blogging Challenge and the day for the letter L. Today I have another special post about The Lazarus House. I recently spoke with Kevin Bowman who is the Director of The Newness of Life Lazarus House which opened here in Martinsburg, WV on April 1, 2017. The Lazarus house is a men's only sober living house for men in Martinsburg struggling with addiction. Men who are tired of living that life and want to make a change. This program here in Martinsburg and Kevin's presence is bringing HOPE to our community and reminds us that people do recover from this addiction. They recover and they go on to live and be successful people in our community. 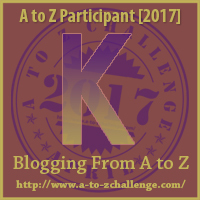 Today is Day eleven of the April A-Z Blogging Challenge and the day for the letter K. Today's post is about the kids of this crisis. This generation of children is facing something that none of us will ever know. It saddens me to say that my own grandchildren are now part of the statistical numbers of children affected by addiction. There is a word entering the vocabulary during this epidemic in this country. That word is called, "grand-parenting". It's not really a new word. Grandparents have taken on the role of caregivers and parents in this country since time began. Today, however, it is happening more than ever with this heroin and the opioid crisis in our country. 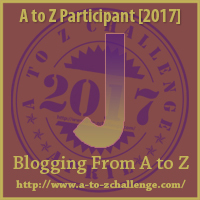 Today is Day ten of the April Blogging Challenge and the letter J. I have chosen Just For Today as my topic today. This is important to those in recovery, living recovered and for those of us on this side of addiction. I can't repeat yesterday, tomorrow isn't promised so I will find some inspiration, some peace some serenity if only just for today. 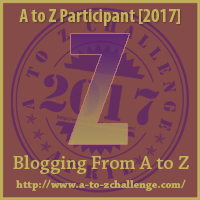 Today is day eight of the A-Z Challenge. Are you blogging the Challenge? Are you keeping up? 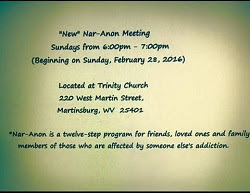 Today is the day for the letter H and a guest post from a local group in Martinsburg, The Hope Dealer Project bringing the hope of recovery to our town and to those families and those suffering from substance abuse here. This is about three amazing women here who all work full-time jobs and still have time to operate a nonprofit organization. I am honored today to tell you about The Hope Dealer Project. For decades, scores of doctors, government officials, journalists, and others have extolled the benefits of psychiatric medicines for children. GENERATION RX presents "the rest of the story" and unveils how this era of unprecedented change in Western culture really occurred - and what price has been paid by our society. International award-winning filmmaker Kevin P. Miller (Let Truth Be The Bias, The Promised Land) "delivers a jaw-dropping emotional ride," and "weaves a terrifying tale of criminal conspiracy, the mass abandonment of medical ethics, and the routine betrayal of an entire generation." By employing the expertise of internationally respected professionals from the fields of medicine, ethics, journalism, and academia, GENERATION RX investigates collusion between drug companies and their regulatory watchdogs at the FDA and focuses on the powerful stories of real families who followed the advice of their doctors - and faced devastating consequences for doing so. GENERATION RX is a film about families who confronted horror and found nowhere to turn for help - and how scores of children have been caught in the vortex of mind-bending drugs at the earliest stages of their growth and development. This powerful documentary also questions whether we have forced millions of children onto pharmaceutical drugs for commercial rather than scientific reasons. Ultimately, Generation RX may help parents decide whether the perceived benefits of these medications outweigh the serious risks to children. Go ahead click it to read. I dare you! Today is Day six of the A-Z Challenge and also the day for the letter F. Today I am honored to bring you a special post about a special local lady, Lori Swadley a local photographer and owner of Swadley Studio who is making a difference in the lives of many of our locals who have recovered from alcohol and substance abuse with her project of 52 Addicts. Lori tells their stories through the eyes of a camera lens. 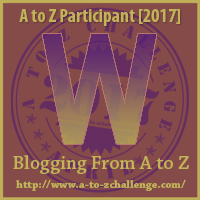 Today is day four of the A-Z Challenge. Are you blogging the Challenge? Are you keeping up? Today is the day for the letter D. My post today is about the dealers of dangerous drugs, what a dealer may tell you, and what a dealer will not tell you. Today is the third day of the April Blogging Challenge. Today I have chosen the 6 C's of addiction and Recovery. Those six words of Addiction and Recovery are Choice, Compulsion, Craving, Consequence, and Control and Choose Life. The first C word is Choice. This word is the greatest of the debate in the disease of addiction. Many do not believe that addiction should be categorized as a disease because of the word, Choice. 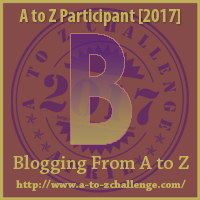 Today is the second day of the April Blogging Challenge and the Letter for today is, B. For this letter I have chosen to tell you about a local group who is helping out in the fight against this heroin epidemic. They are the WV Chapter of Bikers Against Heroin. I feel honored to do this post. In case you haven't heard of them before you might be wondering, just who are the Bikers Against Heroin? What do they do? This group was founded in November 2015 and is headed by Dee Stotelmyer Pierce, President of the Group. Bikers Against Heroin WV Chapter filed for 5013c nonprofit status in May of 2016.